A move to Oakland – and tens of millions in guaranteed money that Pittsburgh had not promised – represents a fresh start for Brown. The Oakland Raiders acquired wide receiver Antonio Brown from the Pittsburgh Steelers on Saturday night, according to multiple media outlets. 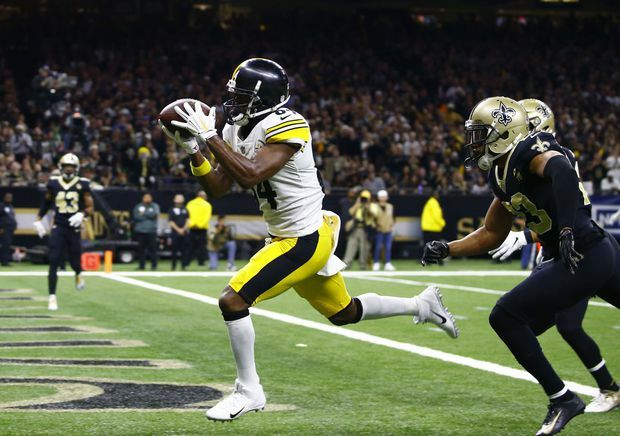 The Steelers will receive third- and fifth-round draft picks in exchange for the eccentric wide receiver, according to ESPN’s Adam Schefter. The Raiders will add money to Brown’s existing contract, which now calls for US$50.1-million over the next three years with US$30.1-million guaranteed. Brown quickly embraced the deal. He posted a photo illustration of himself in a Raiders uniform only minutes after the deal was first reported. The 30-year-old wideout now becomes the top offensive threat in Oakland after a remarkable but sometimes turbulent nine-season stint with Pittsburgh. Brown has surpassed 1,250 receiving yards in six straight years and hauled in double-digit touchdowns in four of his past five seasons. The Steelers reportedly had sought a first-round pick for Brown before settling on Oakland’s offer. Several other teams, including the Washington Redskins and Tennessee Titans, also had expressed interest in acquiring the playmaker before Pittsburgh decided to send him west. Trade rumors had swirled for months amid a public spat between Brown and the Steelers. The disgruntled veteran did not play in last year’s must-win regular-season finale because he was “banged up,” which prompted Steelers coach Mike Tomlin to tell him to go home. During the offseason, Brown held firm with his criticism of the franchise. He also ripped veteran quarterback Ben Roethlisberger, whom he felt wrongly blamed him for an interception in a loss to the Denver Broncos in late November. The Raiders drew scrutiny before the start of last season for trading Khalil Mack to the Chicago Bears rather than meet his contract demands. Then the team shipped wide receiver Amari Cooper to the Dallas Cowboys, only to watch him thrive with his new team. Brown’s arrival appears to signal a renewed aggressiveness in Oakland, where Jon Gruden will enter his second season at the helm. Brown also provides the best playmaking option yet for sixth-year quarterback Derek Carr, who is coming off a season in which he threw for a career-high 4,049 yards. Last season, Brown caught 104 passes for 1,297 yards and 15 touchdowns. He has 837 receptions for 11,207 yards and 74 touchdowns in his career. The Raiders are not scheduled to face the Steelers during the regular season.